Cruise the Baltic Sea to the maritime metropolises of Stockholm, Helsinki and Tallinn! 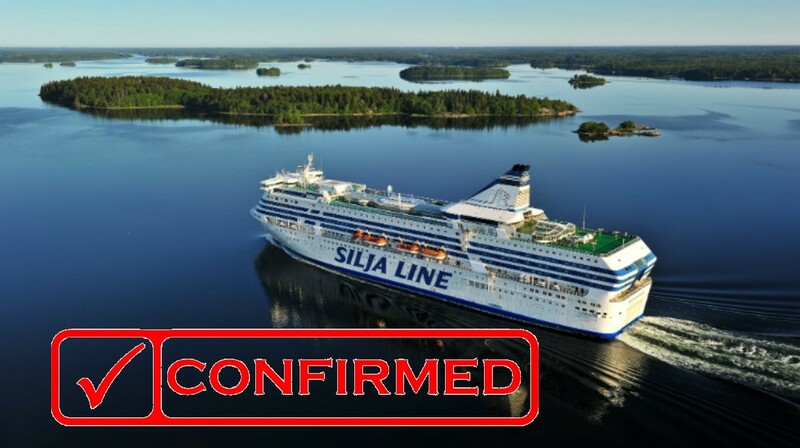 On the Baltic Sea White-Nights Cruise, you will arrive each morning in a new Baltic Sea capital. Even though the sun will be reluctant to set as you cruise overnight from port to port, you will want to get some sleep for when you get off the boat and explore each of these capital cities. A three hour guided tour of Stockholm, Helsinki and Tallinn will familiarize you with each city before providing you with an overnight in each and free time for additional explorations or shopping. Sample a traditional Smörgåsbord in Stockholm, taste smoked elk and reindeer in Helsinki, and brave black pudding and beetroot salad in Tallinn. The White Nights only happen in June and seating is extremely limited. This trip is expected to sell out fast. Reserve your Baltic Sea White Nights Cruise with Kaiserslautern Outdoor Recreation today. Child and infant rates upon request, based upon required room/cabin requirements. This trip is confirmed and as of April 4, 2019, 5 seats remain available at this price. Registration will continue until Wednesday, May 8 or when these seats sell out, which ever event comes first. Cancellations initiated by KL-Outdoor Recreation will be fully refundable. In addition to the standard ODR 10% cancellation fee, non-refundable third party fees may apply to customer cancellations made on or after Friday, March 29.